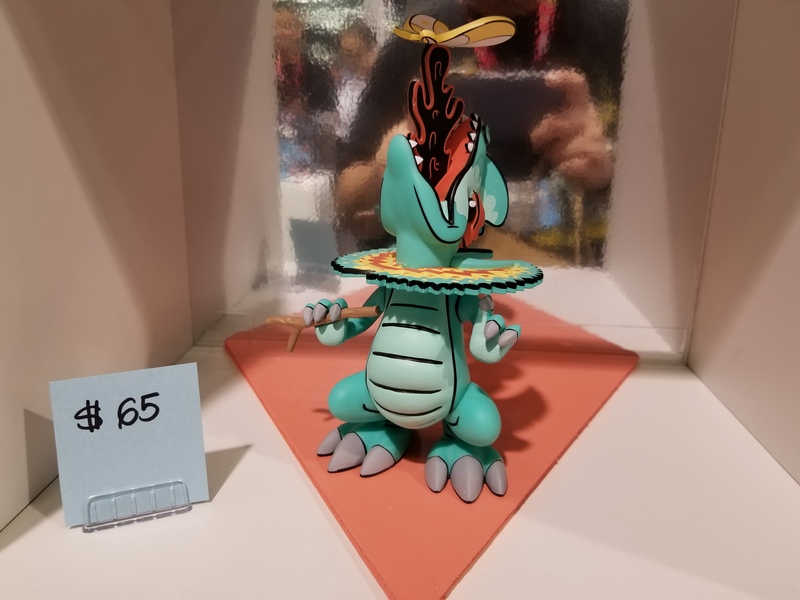 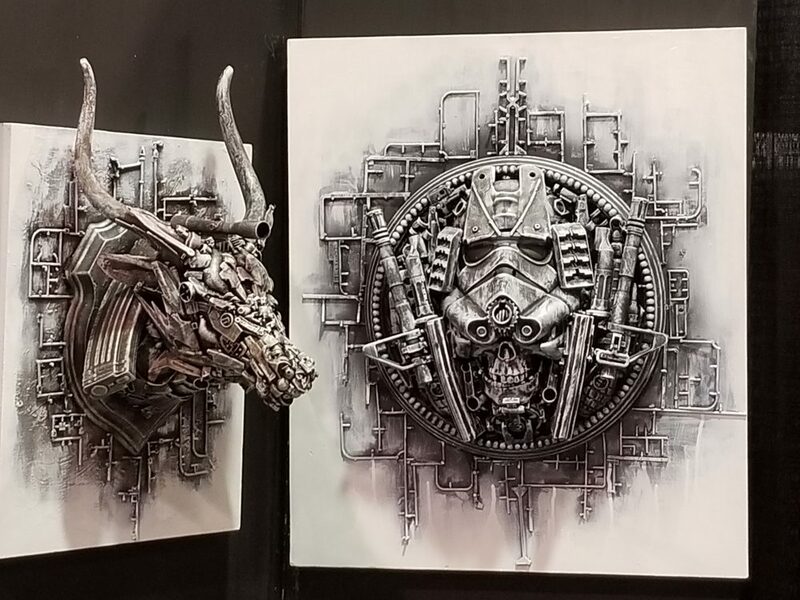 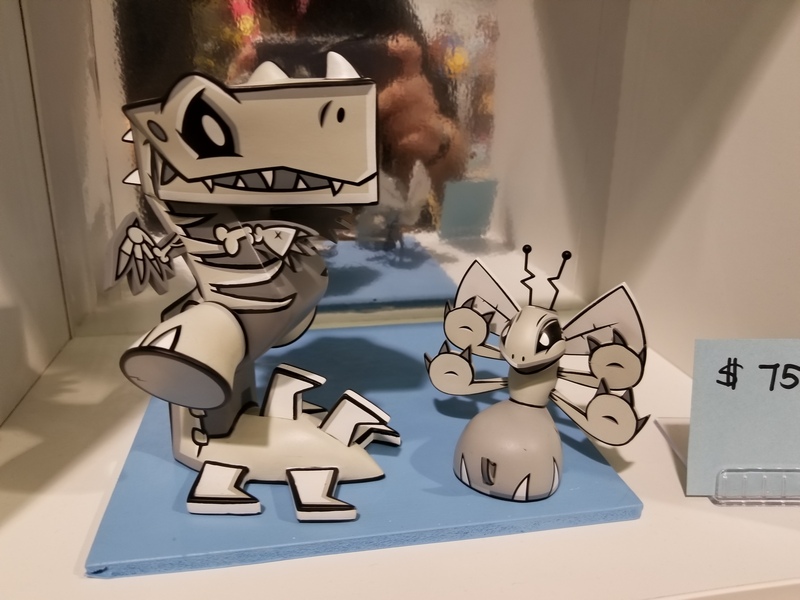 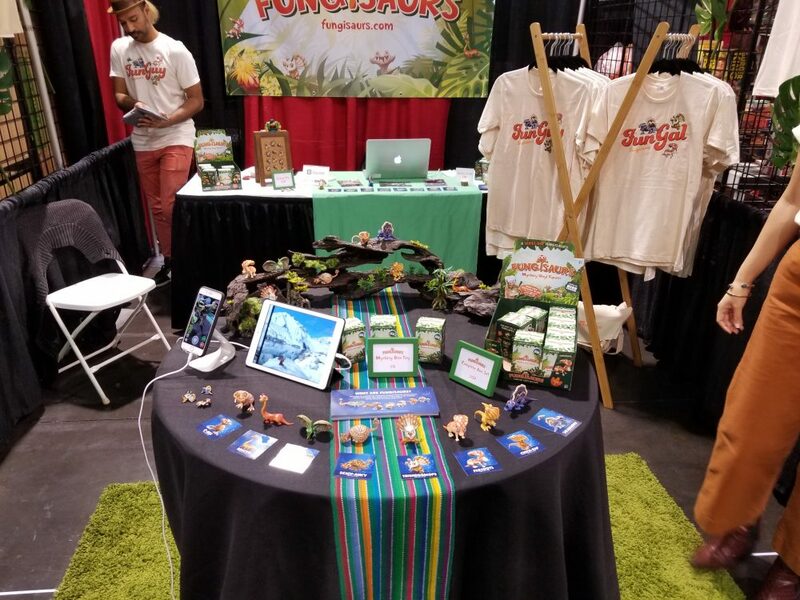 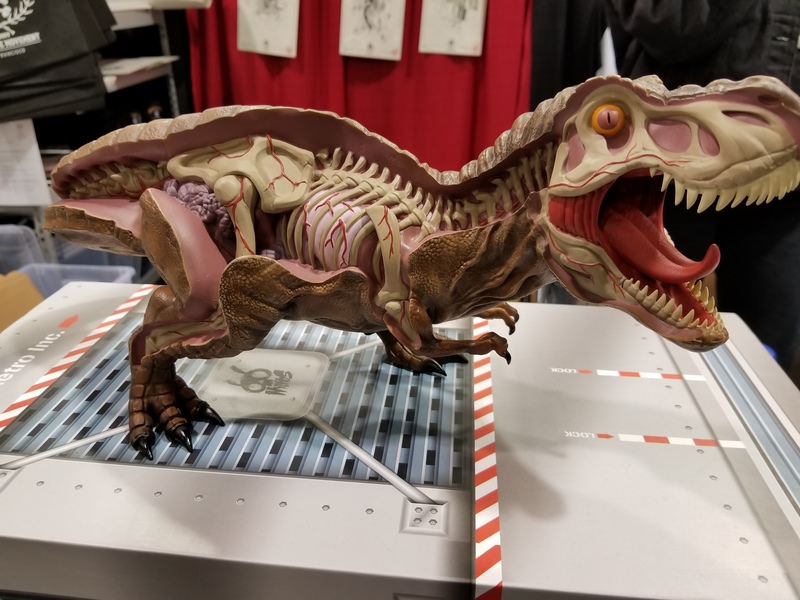 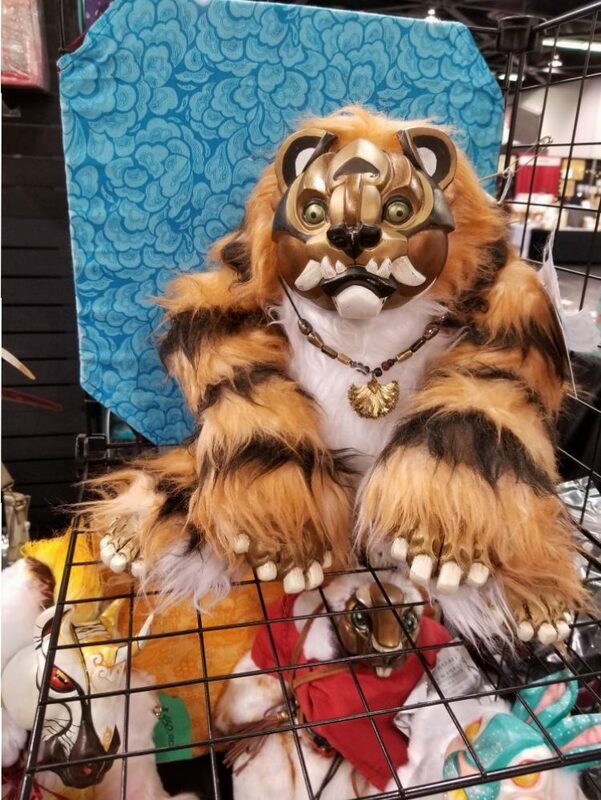 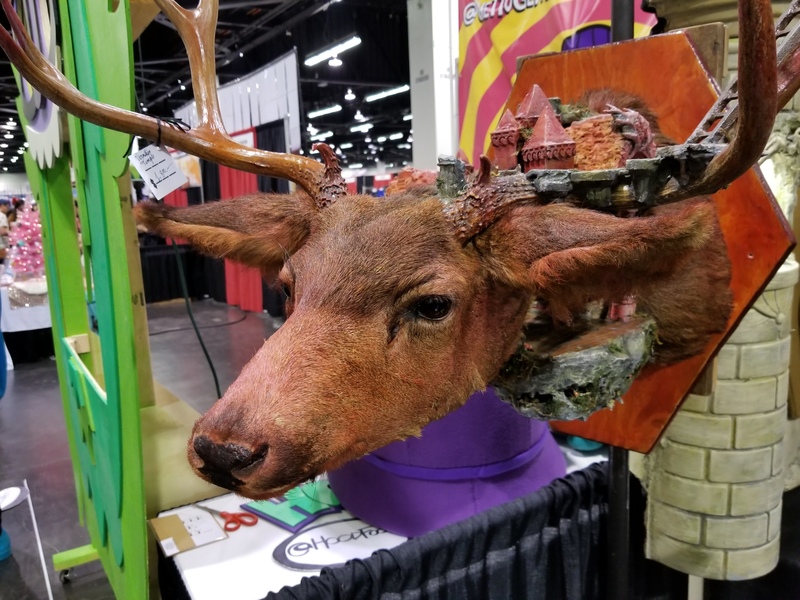 (Victor Valley)– Designer Con took place at the Anaheim Convention Center this past weekend, and for me, it became the best con of 2018. 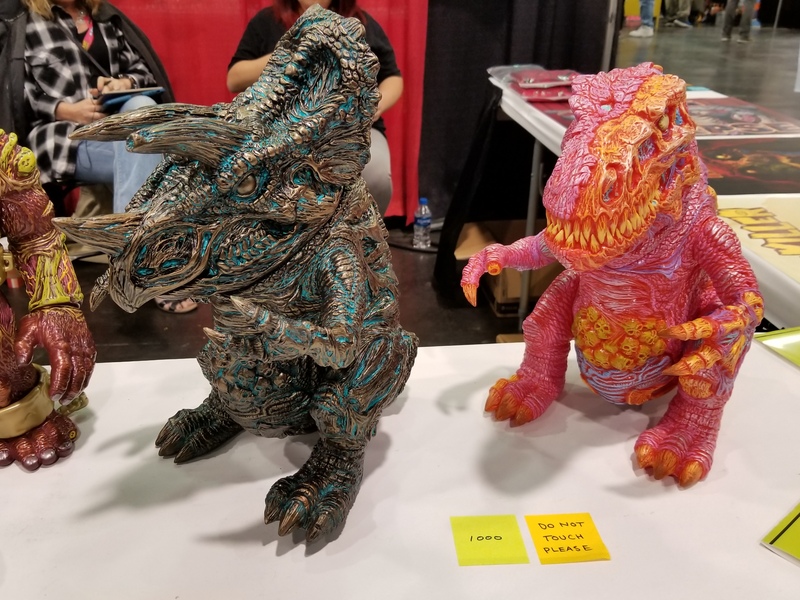 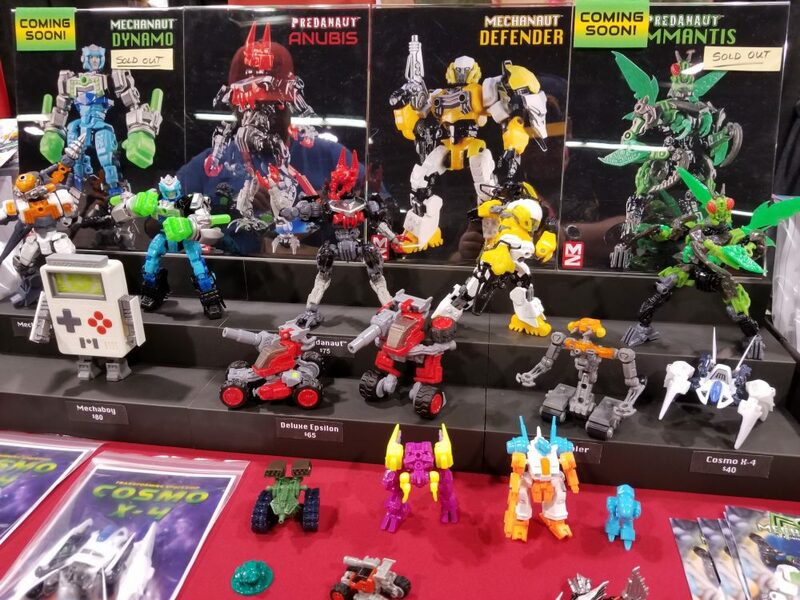 Designer Con has grown leaps and bounds since I last visited years ago. 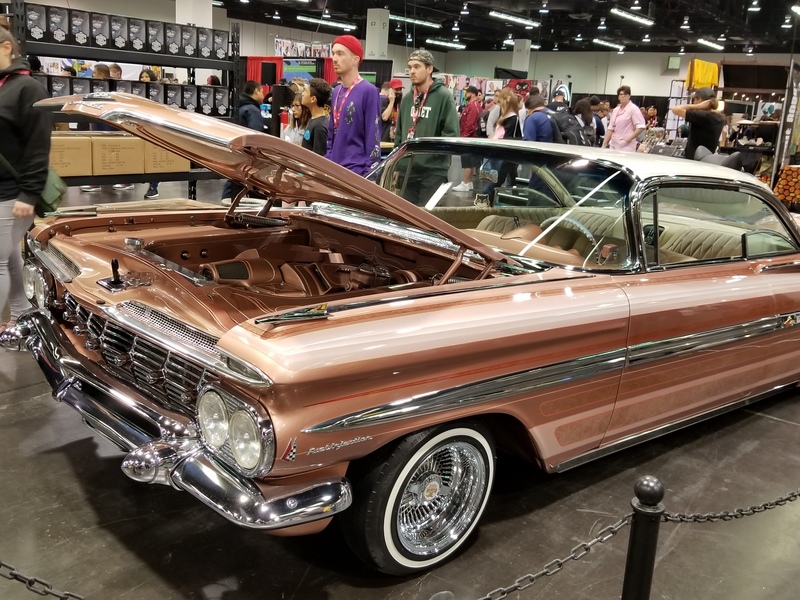 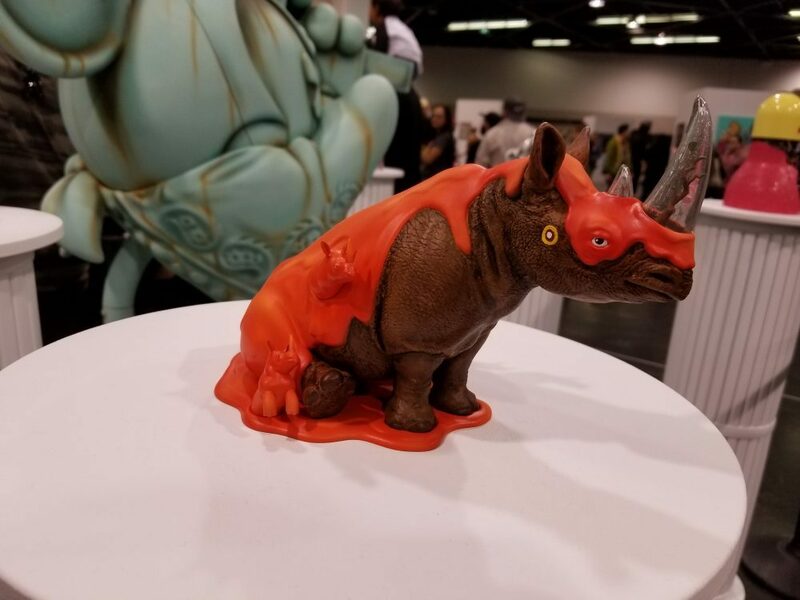 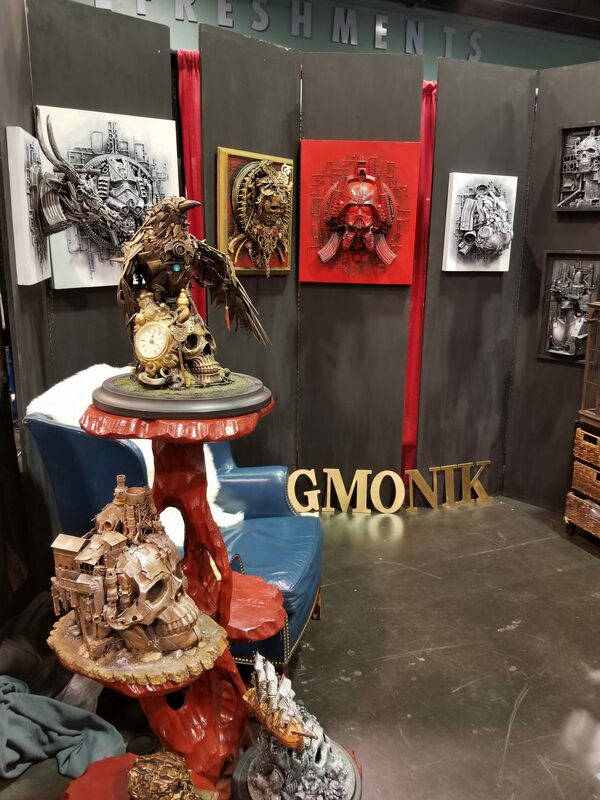 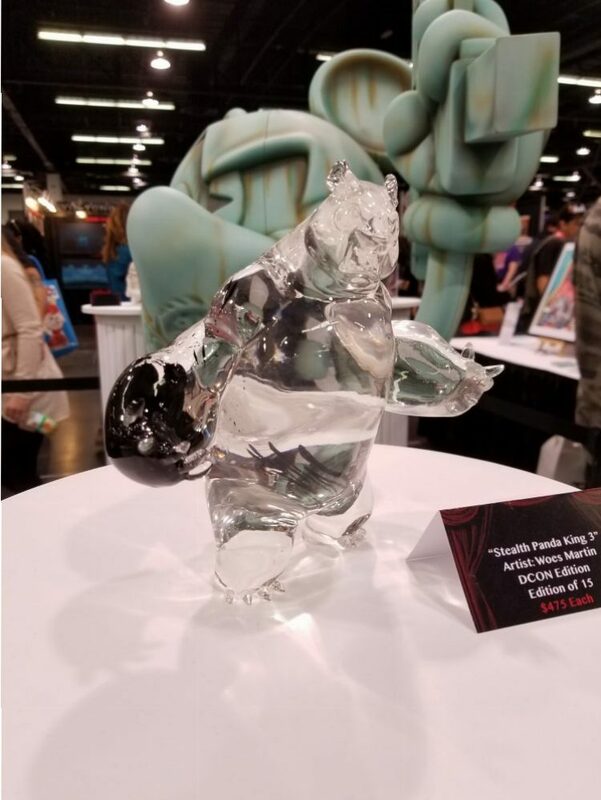 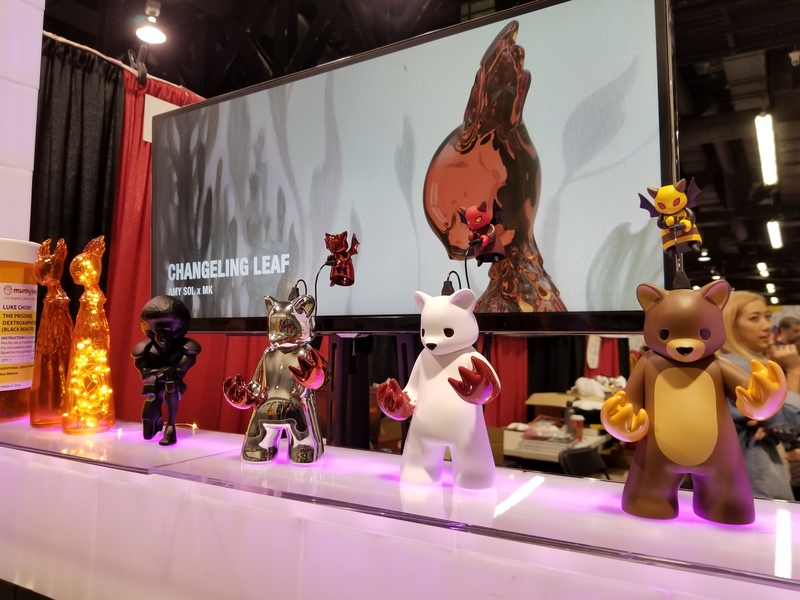 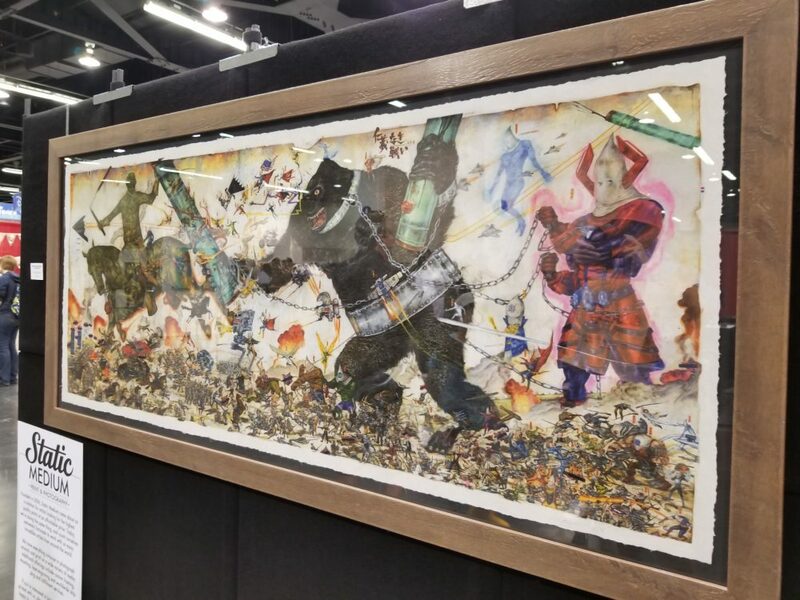 Now in Anaheim, the convention continued to center around art and design. 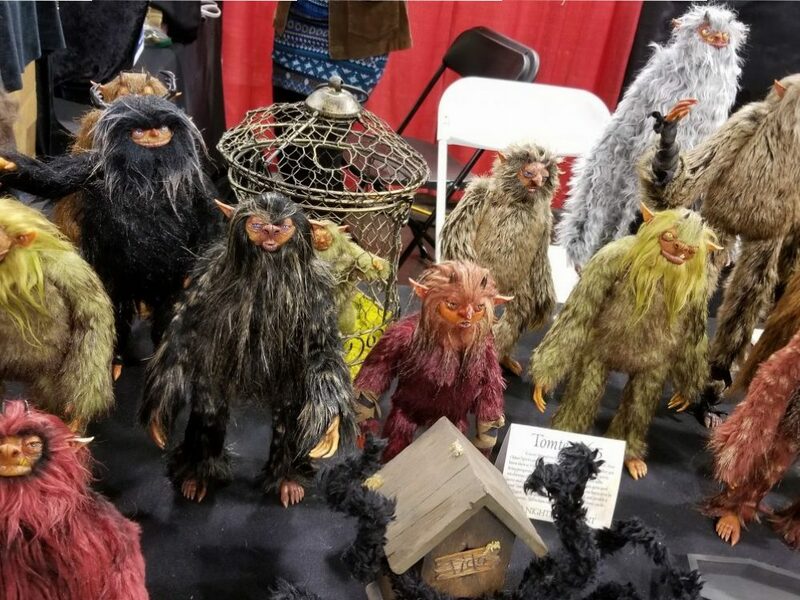 Right from the start, I knew this was going to be a different kind of convention. 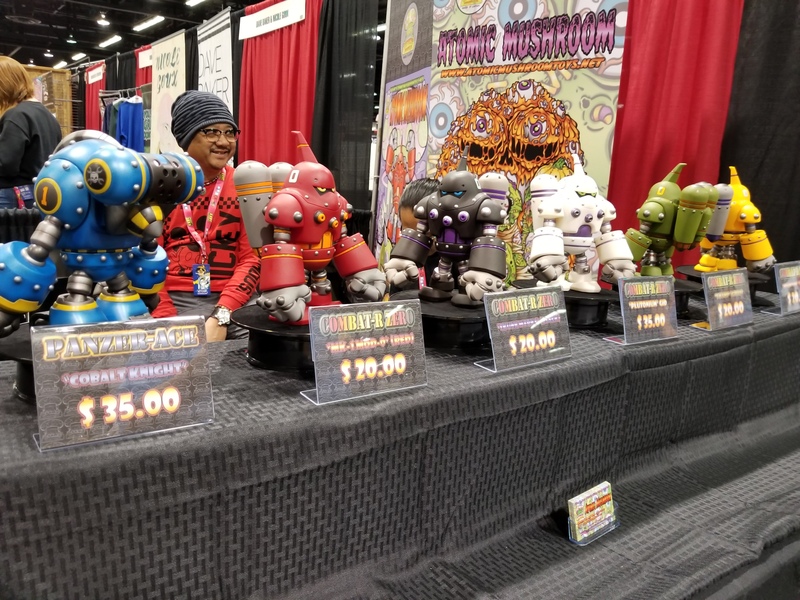 No massive crowds were swarming the front entrance, no cosplayers with flocks of photographers in tow. 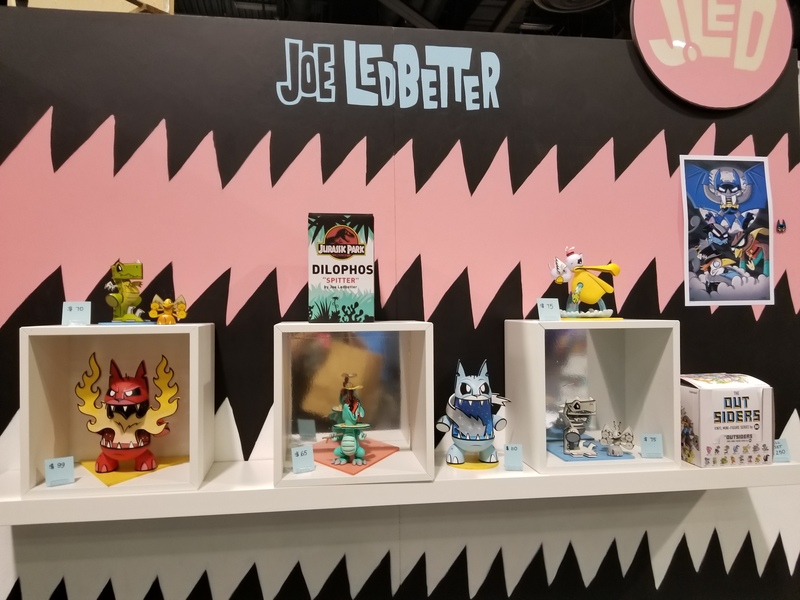 No, this was a convention deep-rooted in imagination, innovation and connecting with those in the industry. 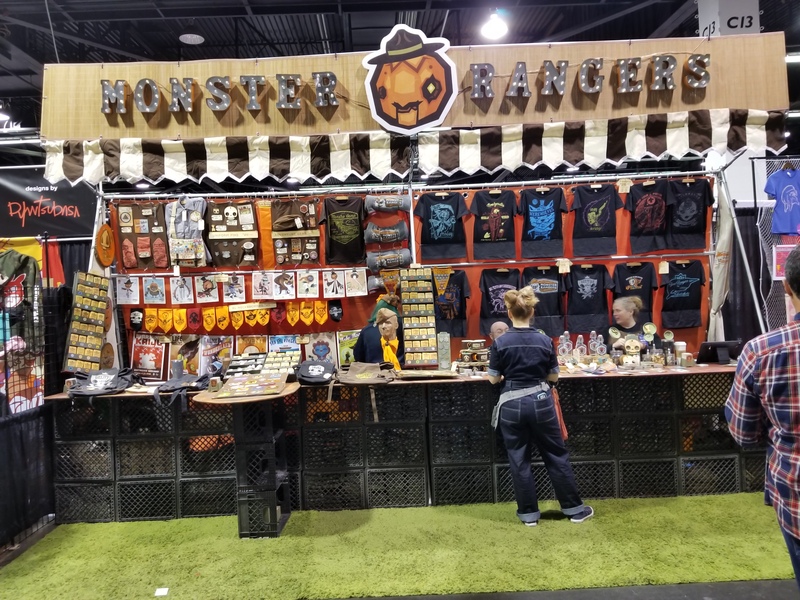 Boasting 350,000 square feet and with over 500 vendors, the convention hit every high mark imaginable for me. 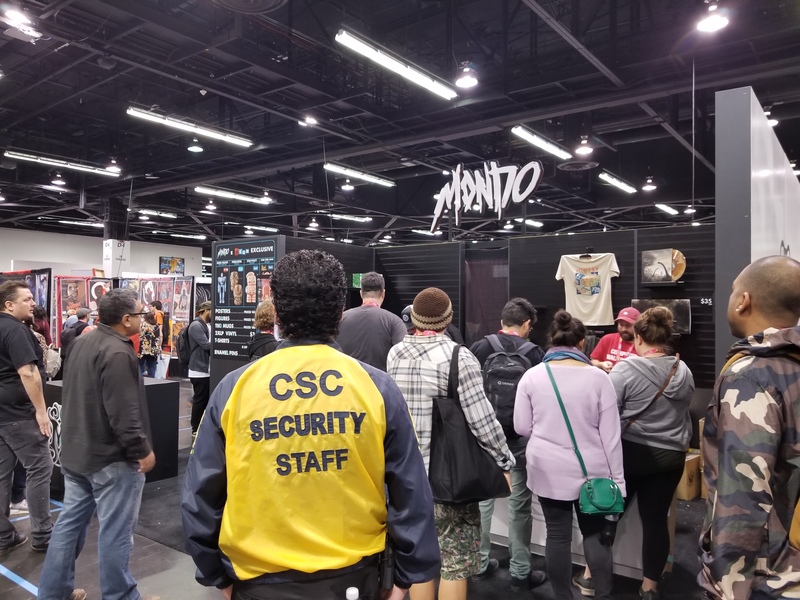 The badge pick up process was well organized with fantastic, knowledgeable staff. 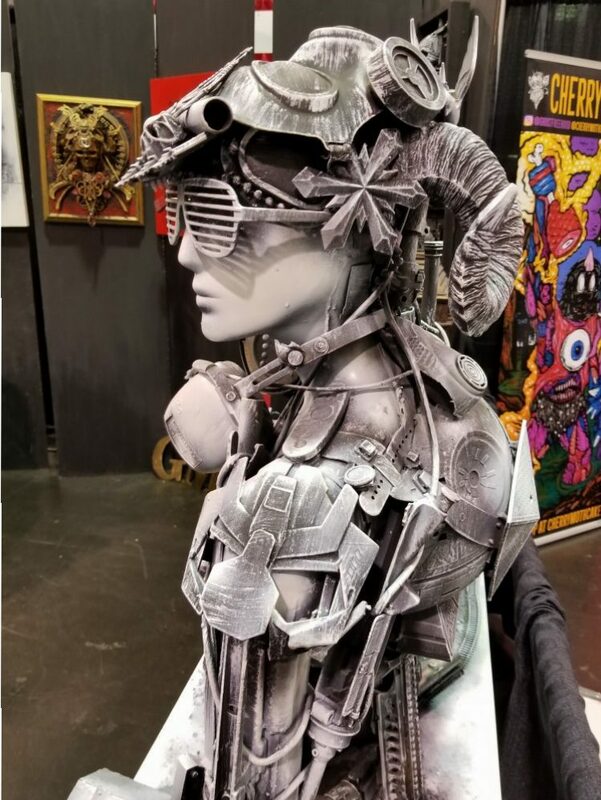 The badge and souvenir book designs are works of art themselves, but with a convention called Designer Con, would you expect any less? 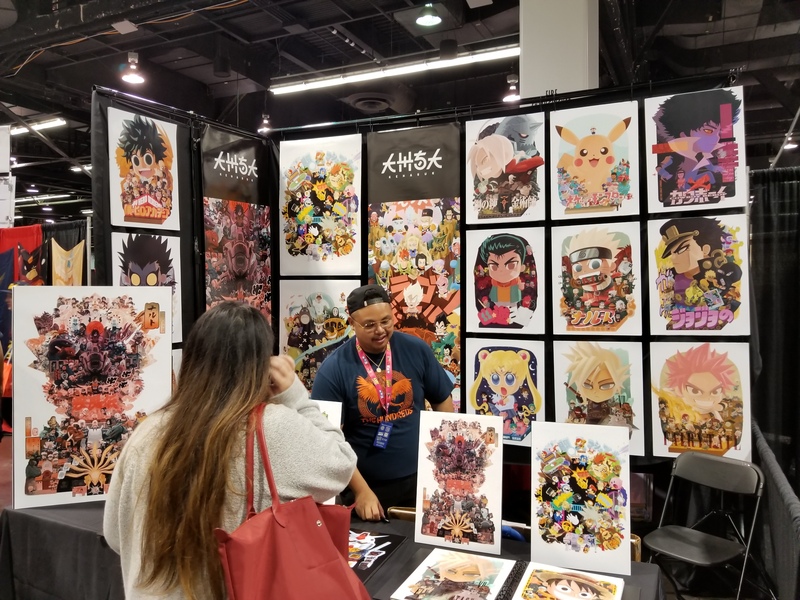 The layout of the exhibit hall is the best I have seen in my 16 years of covering conventions. 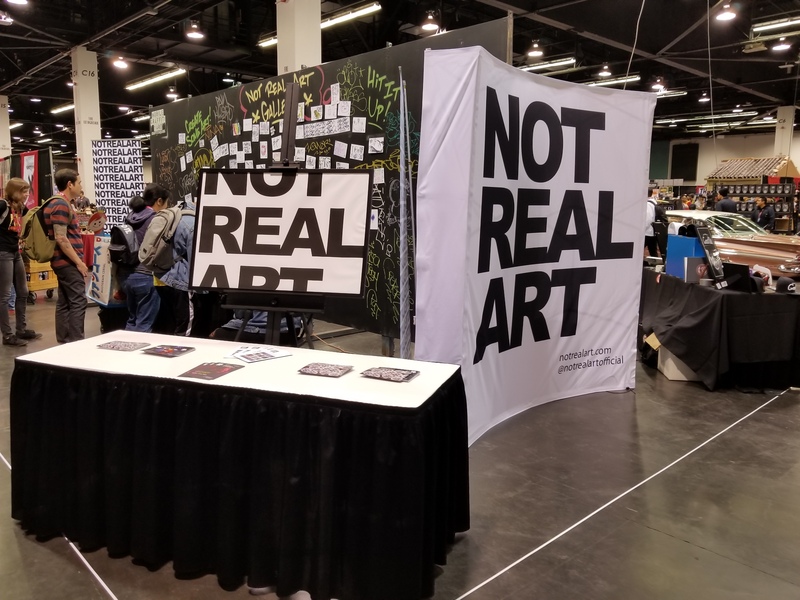 Wide aisles, a very calm vibe throughout the show, I am not used to seeing exhibit halls like this. 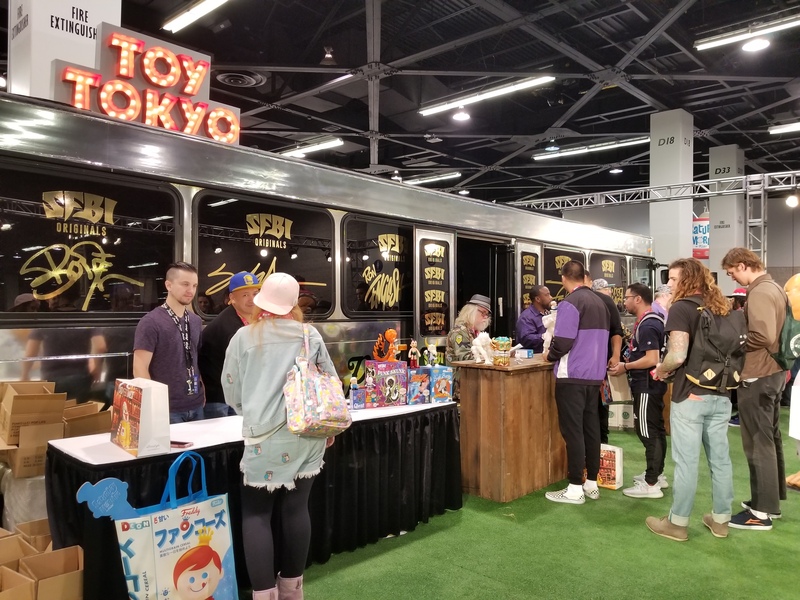 Fans flocked to a number of different booths, not just the main ones you would find at comic book conventions. 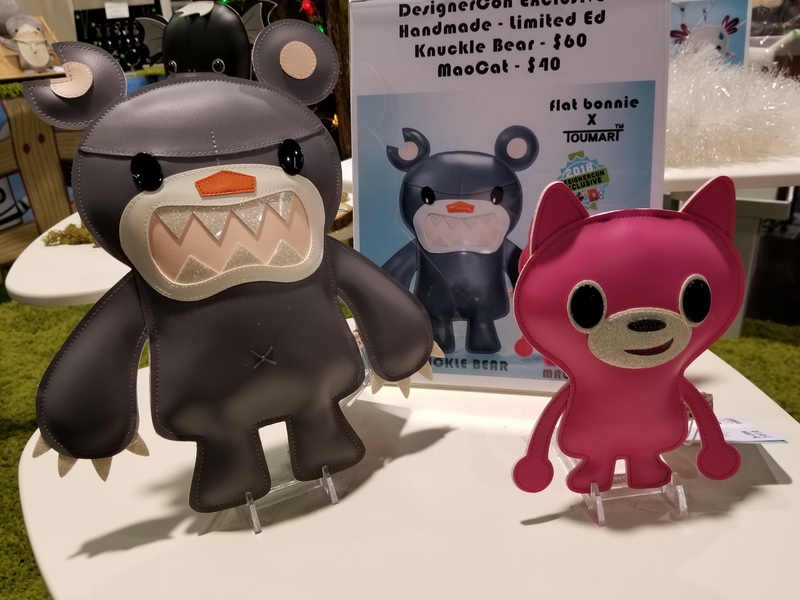 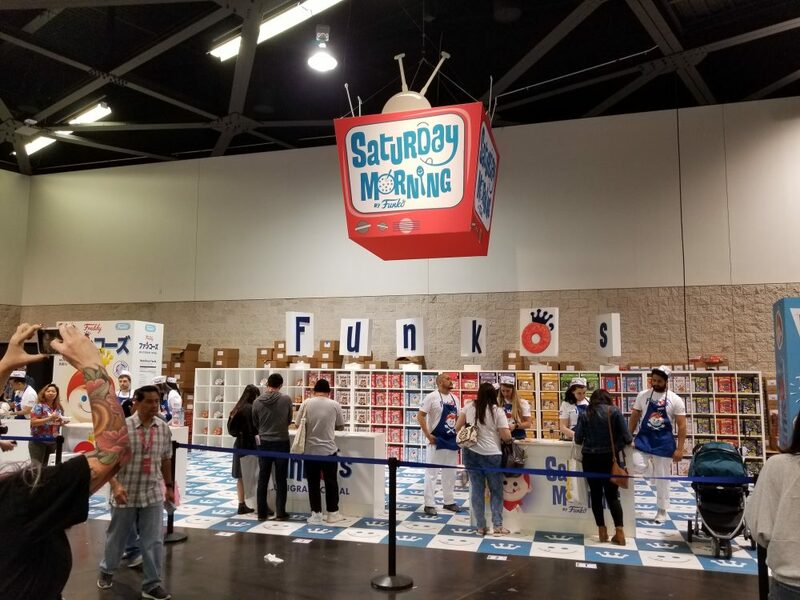 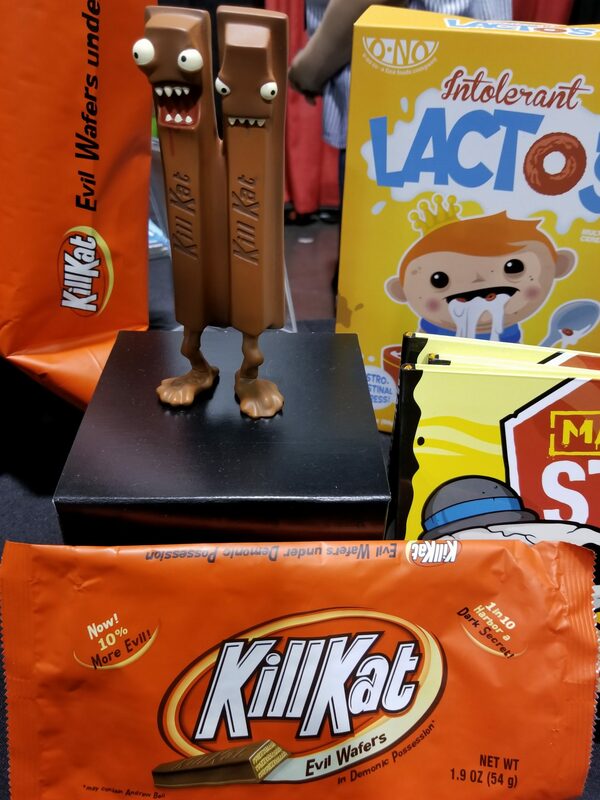 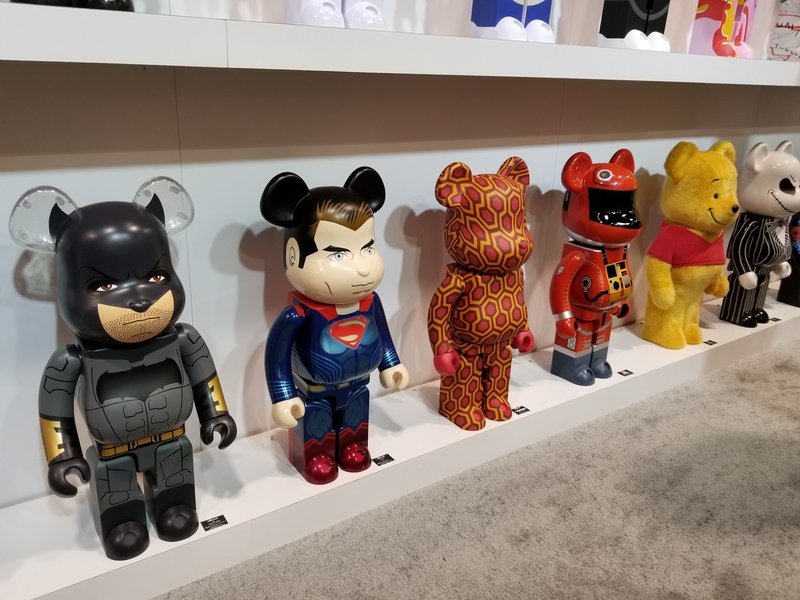 Funko, the producers of the popular POP vinyl collectibles, was on hand and was a massive hit with their Saturday Morning booth, complete exclusive cereal, and cereal themed t-shirts. 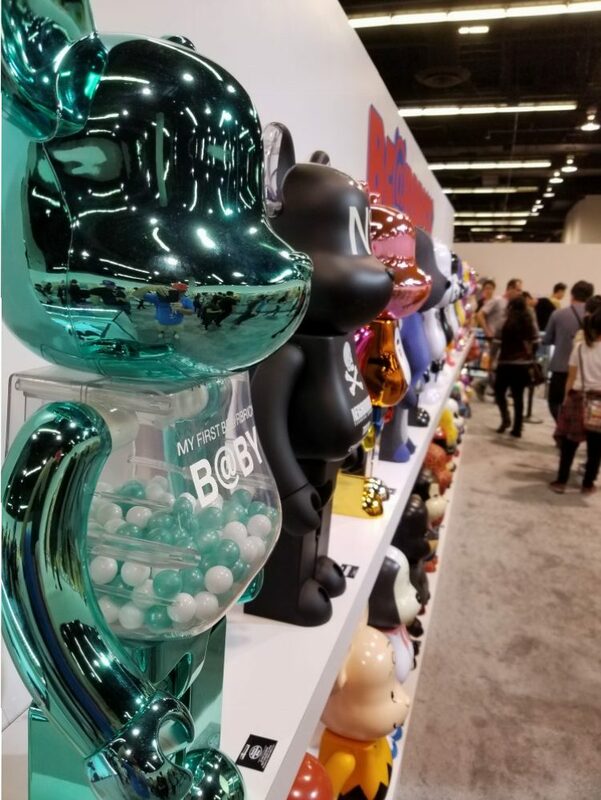 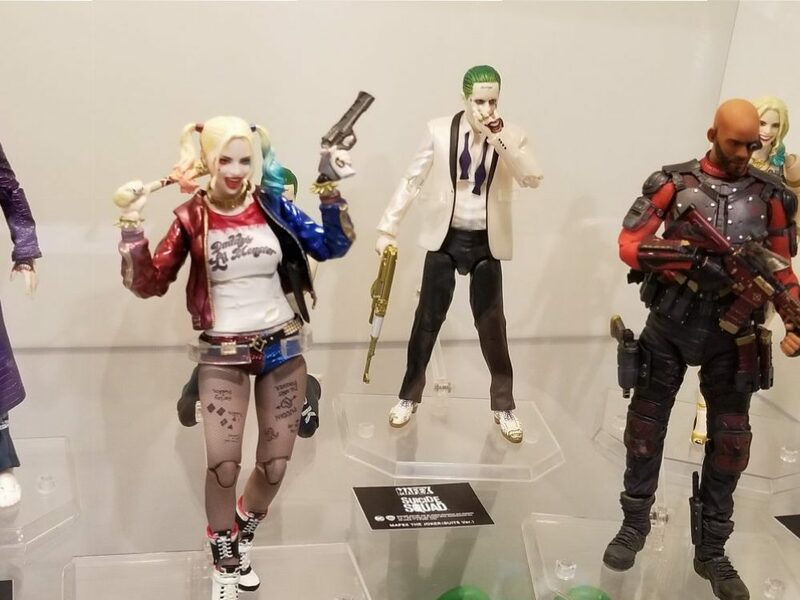 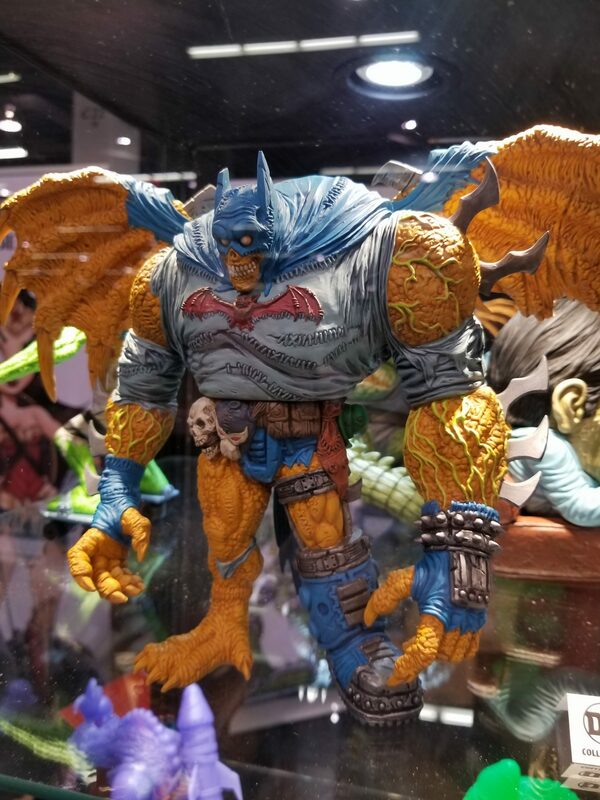 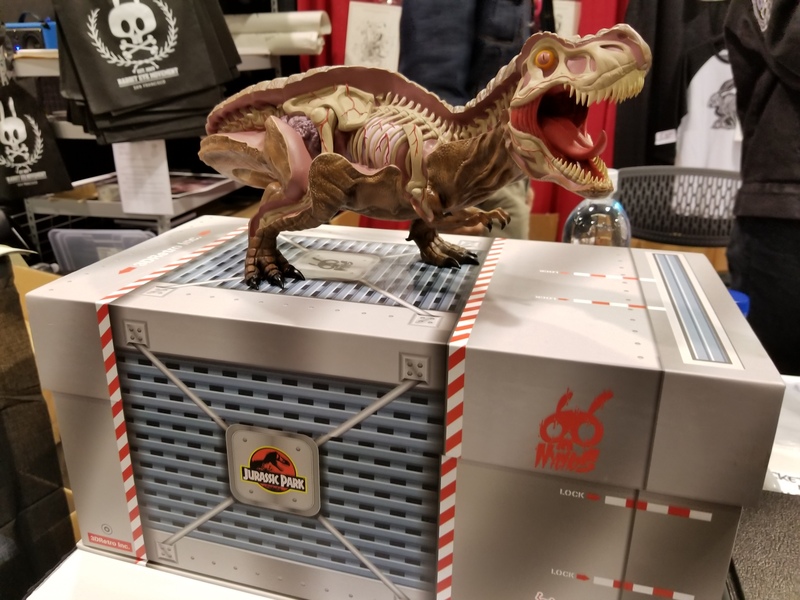 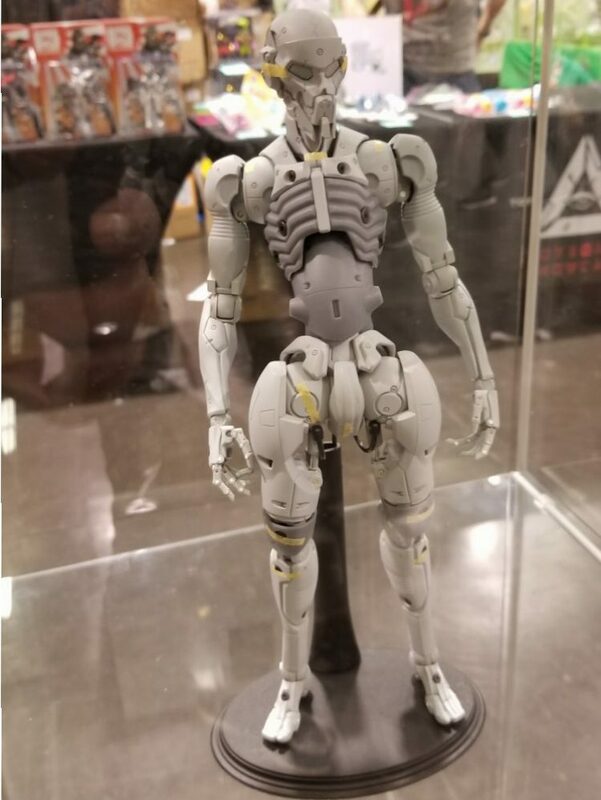 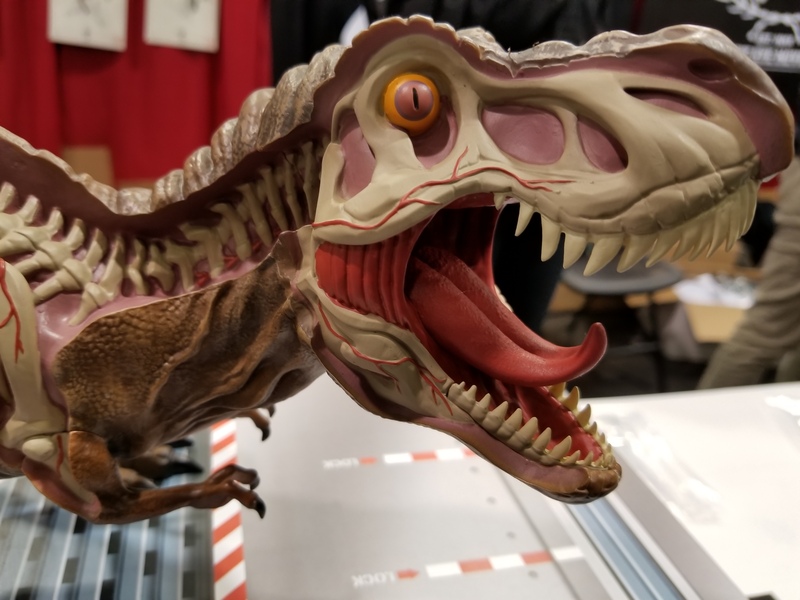 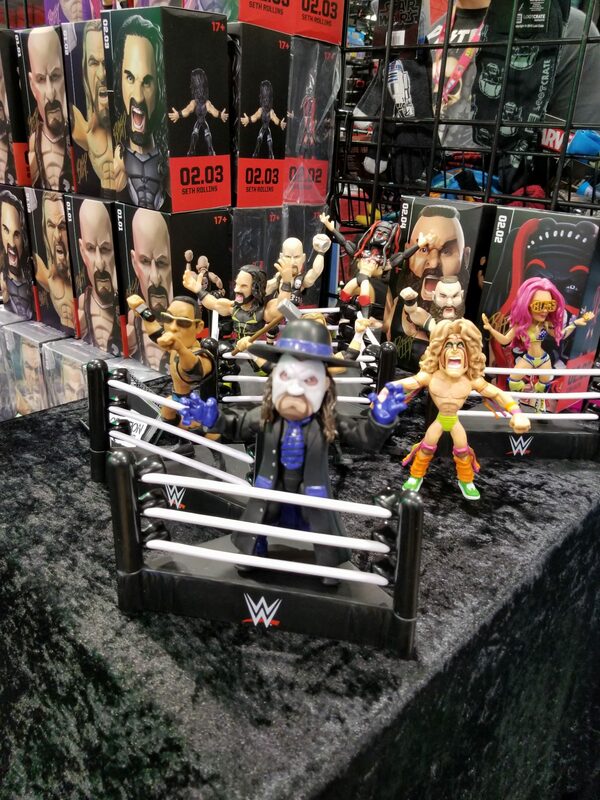 1000Toys was at the convention as well, a rare appearance for the toy manufacturer. 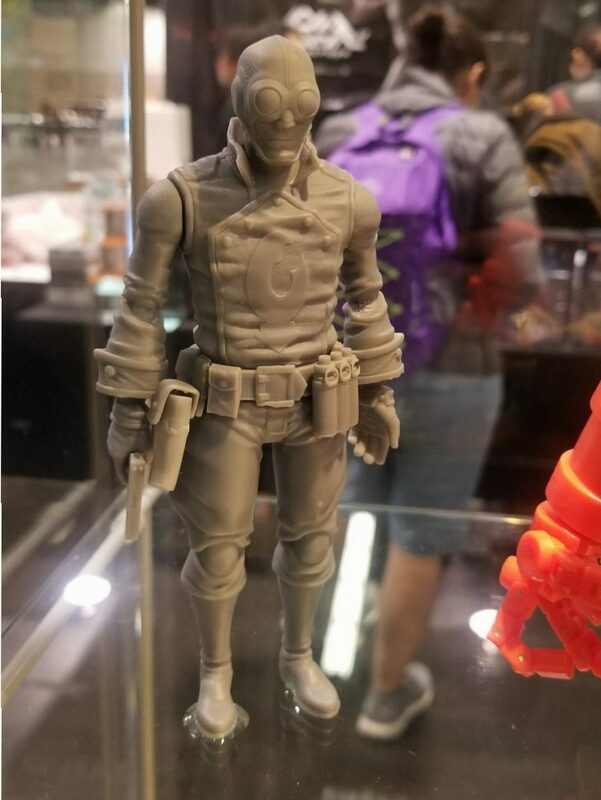 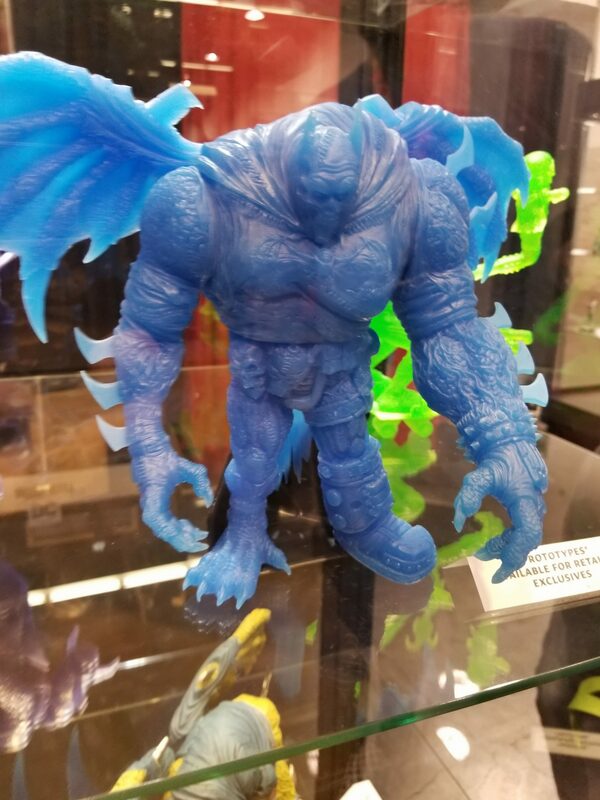 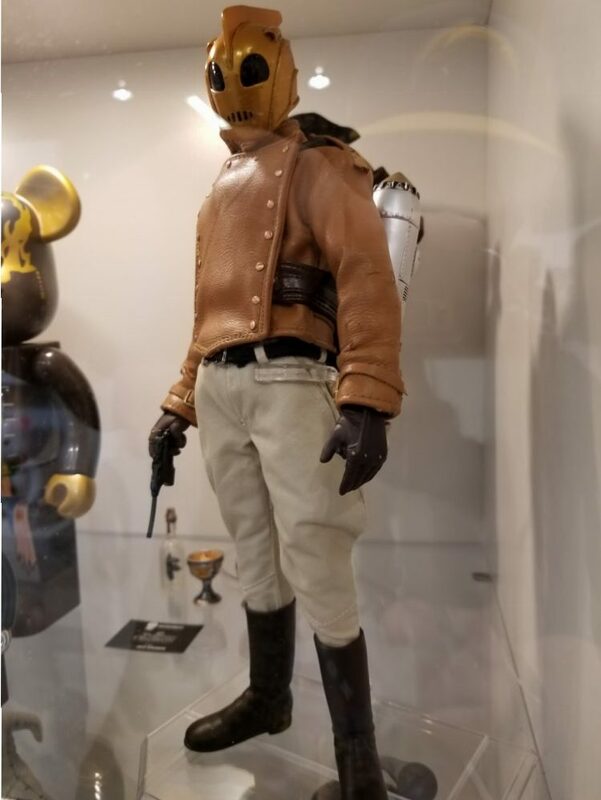 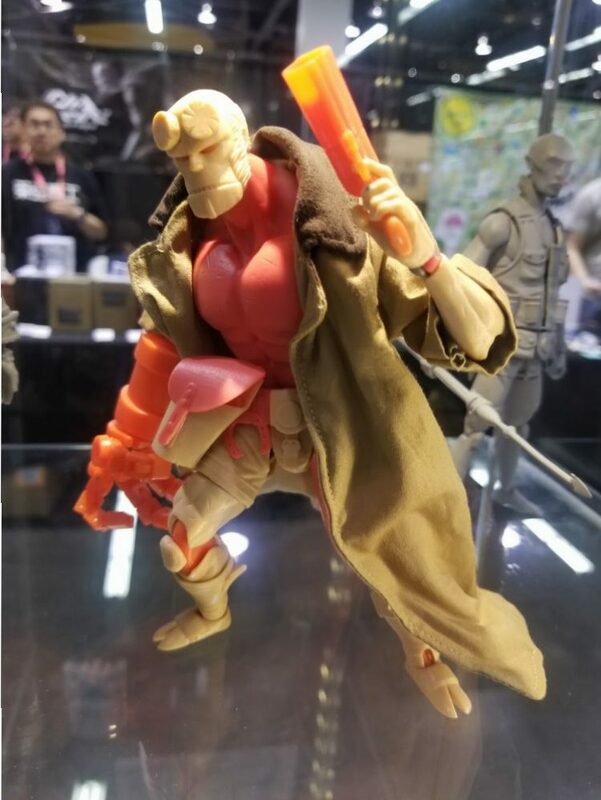 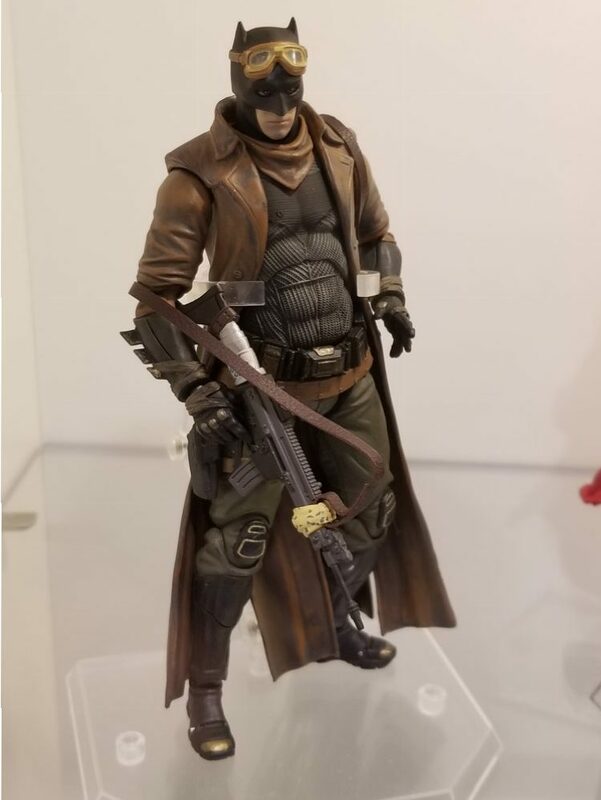 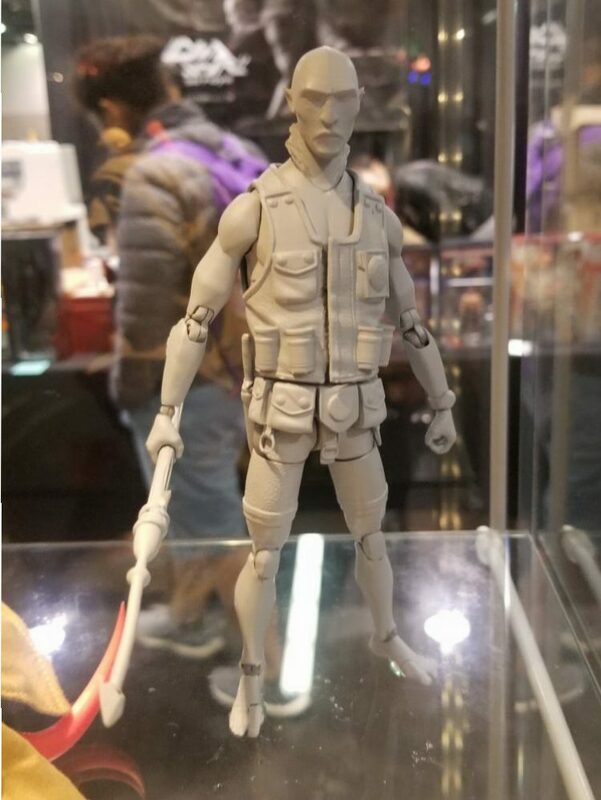 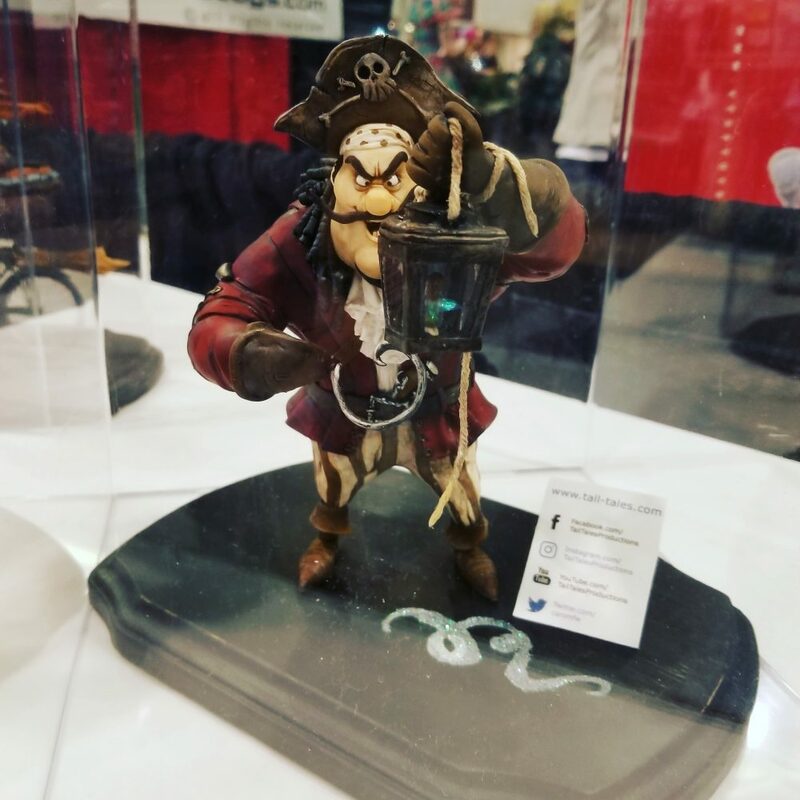 Alongside a slew of exclusives, they brought prototypes of their upcoming Hellboy figures in partnership with Dark Horse Comics. 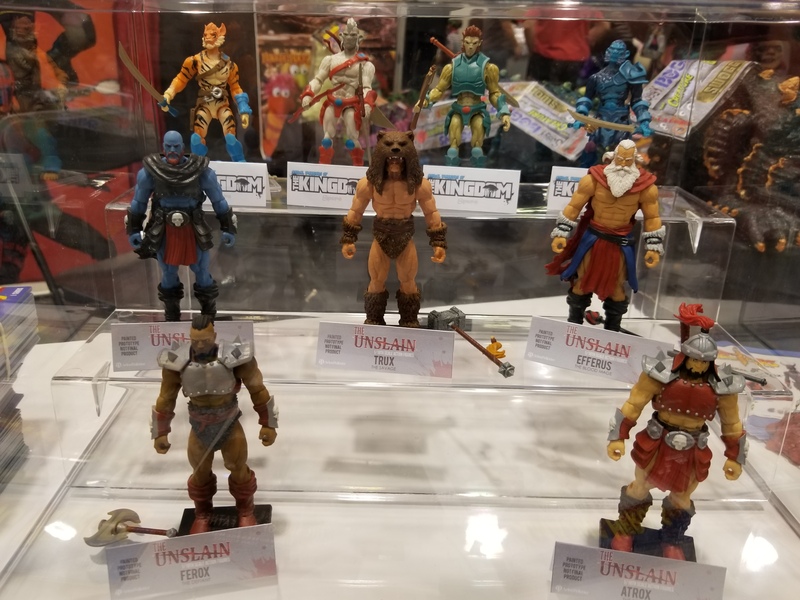 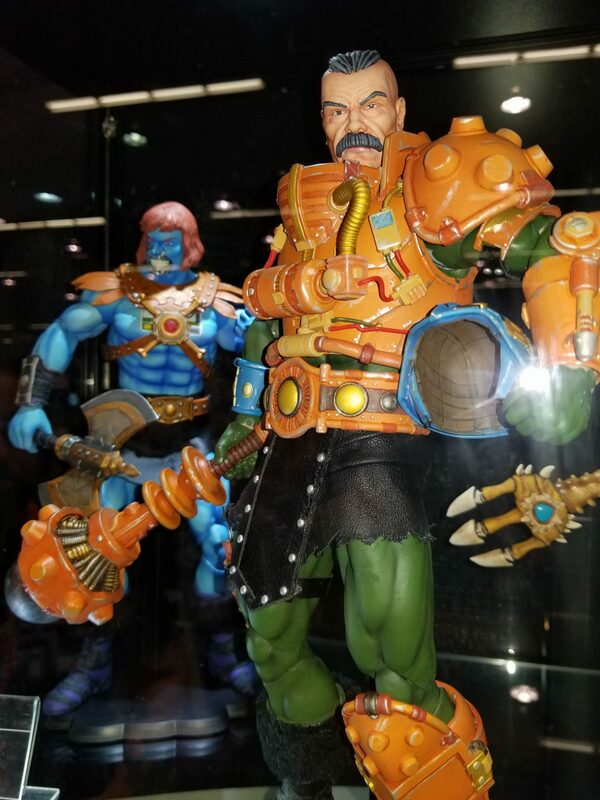 Mondo brought a look of their upcoming Masters of the Universe figures including the debut of the impressive Man at Arms figure. 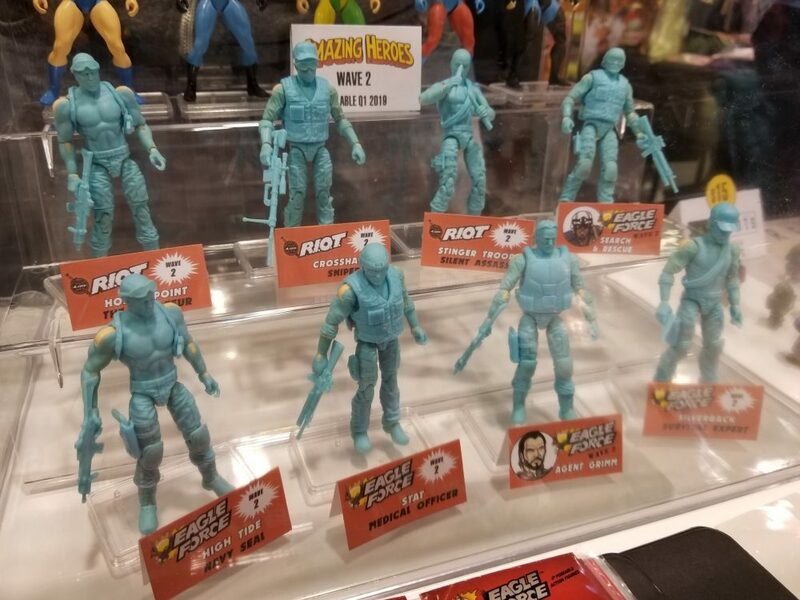 Fresh Monkey Fiction brought prototypes of Wave 2 of their highly anticipated Eagle Force line of action figures. 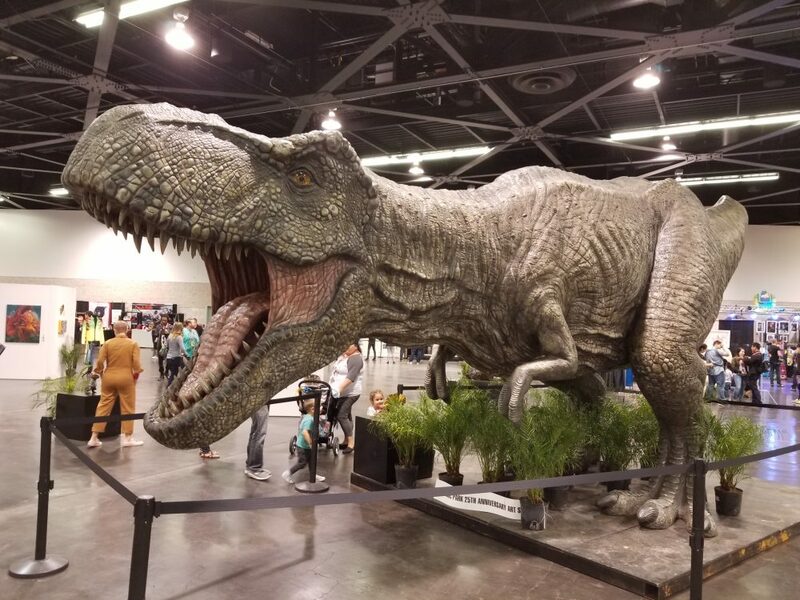 The show also had a fantastic Jurassic Park art show, complete with an impressive life-size replica of a tyrannosaurus rex. 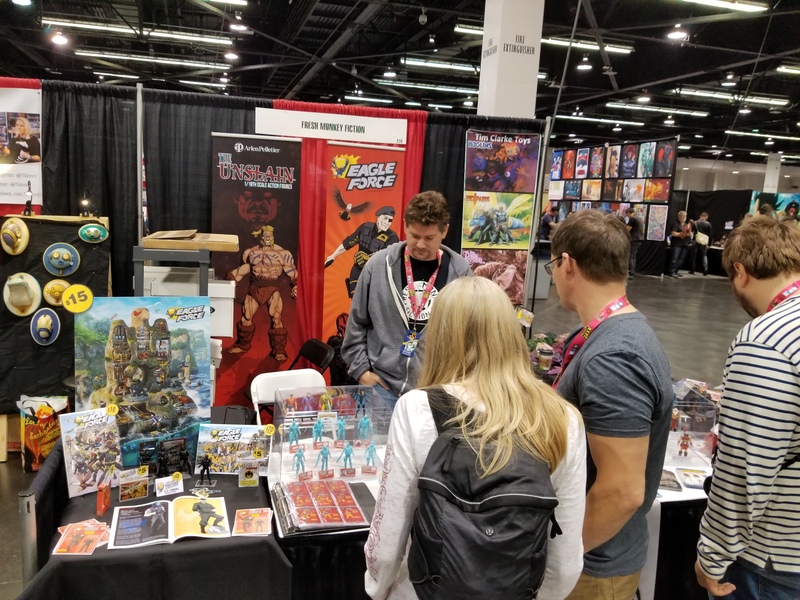 I was able to speak personally to many creators, which is something that isn’t possible with many of the bigger conventions I have attended. 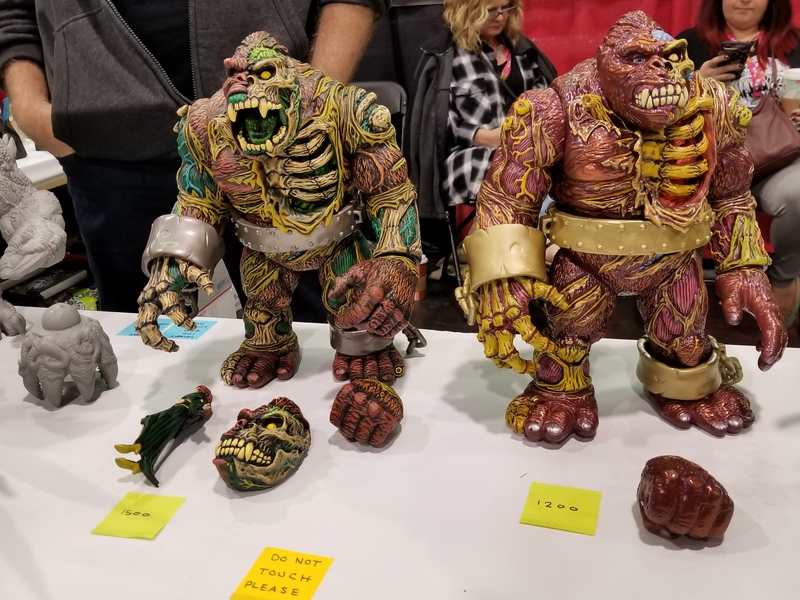 To talk with Fresh Monkey Fiction on the process from a Kickstarter project to finished product was amazing. 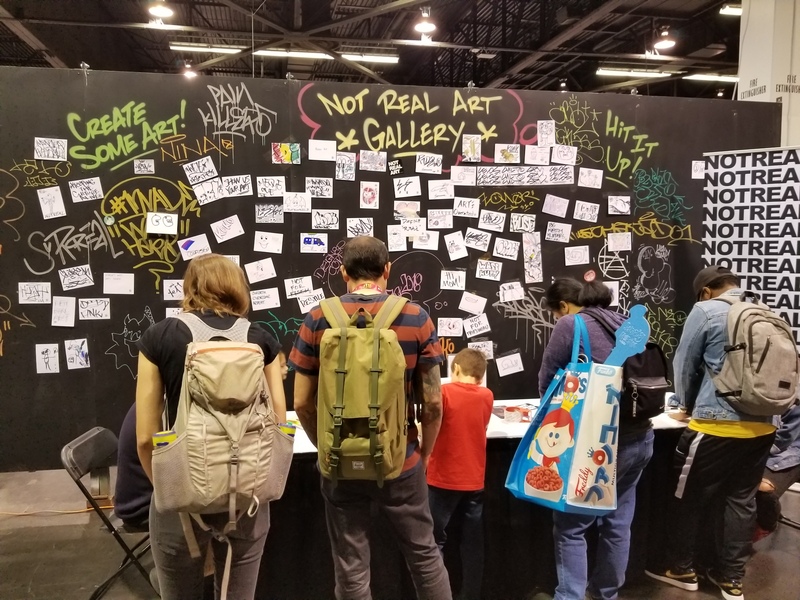 Same with talking to two of my favorite artists: Senti and Nooligan, both who had an impressive showing at the con. 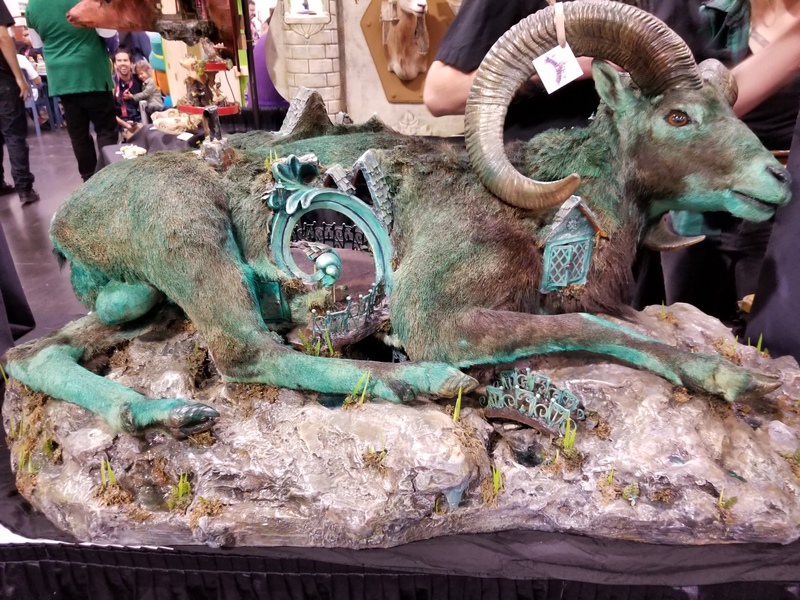 It is that personal touch that helped set Designer Con apart from other conventions this year. 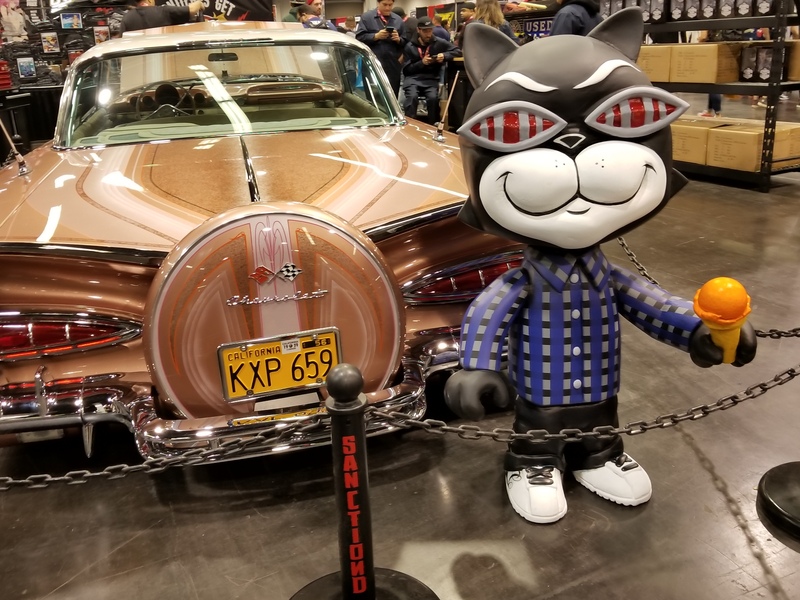 It was a convention devoted to everything I love about pop culture. 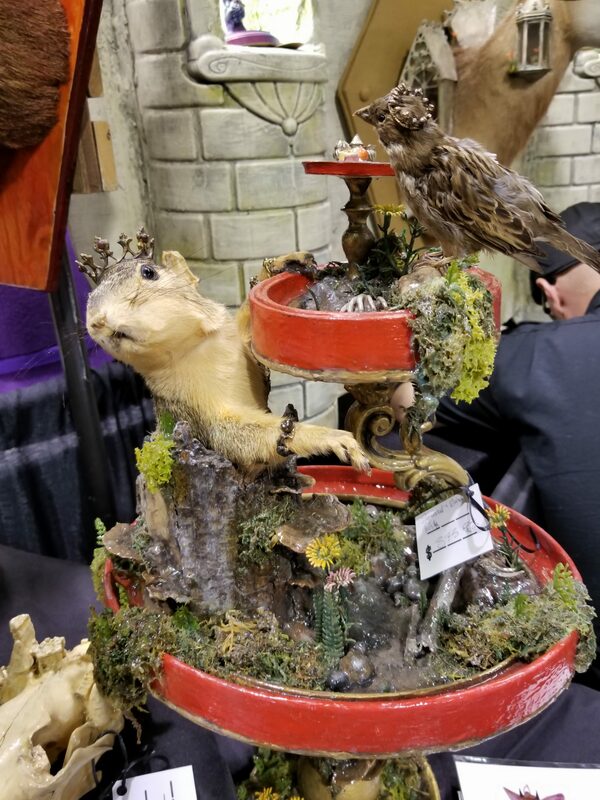 I cannot recommend Designer Con enough. 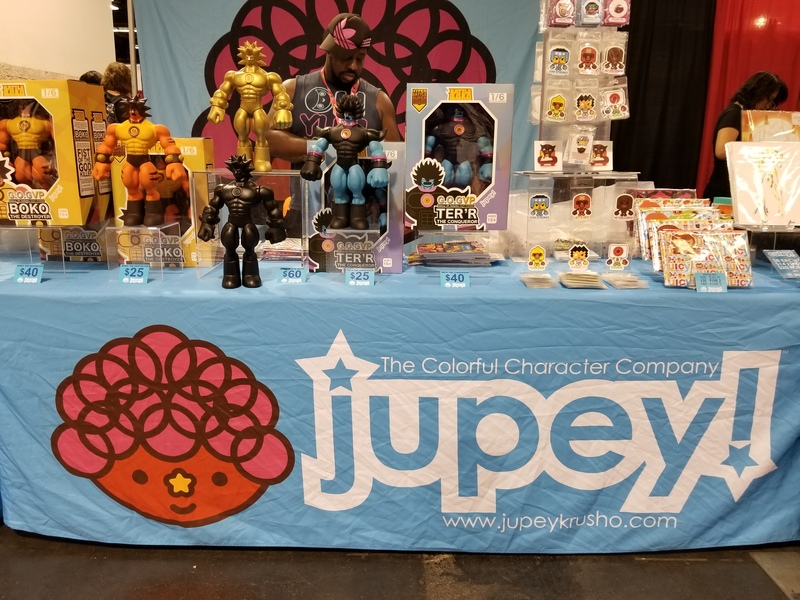 It was an absolute pleasure to be able to attend this convention and speak with so many amazing, talented individuals, something that just isn’t a possiblity at other shows. 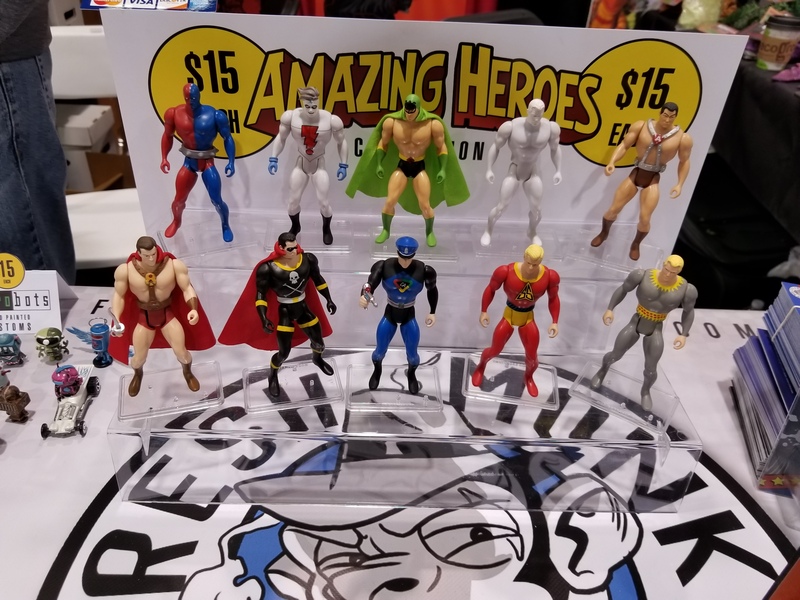 Easily my choice for Best Convention of 2018. 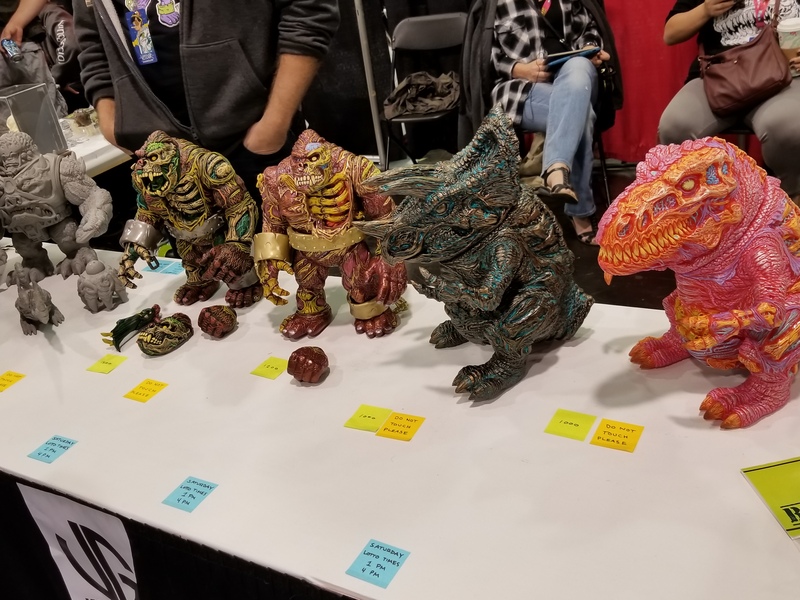 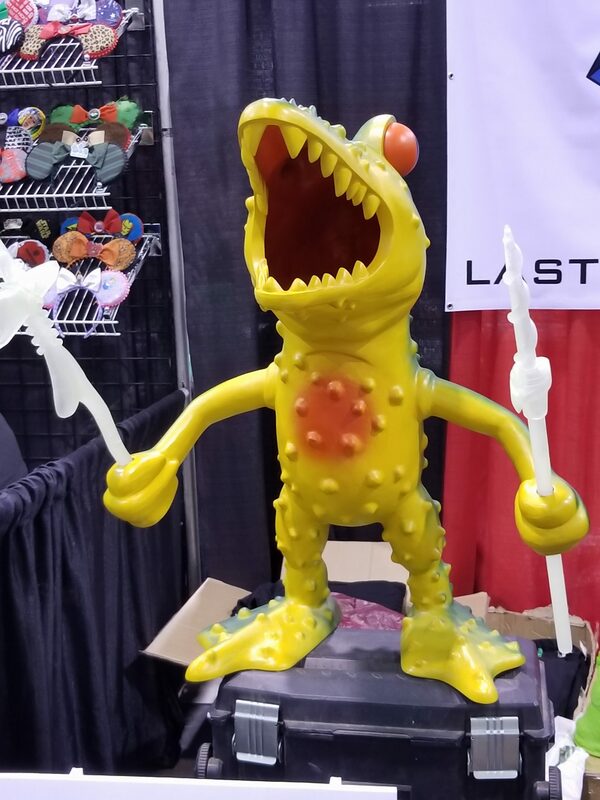 For more information on Designer Con, visit www.designercon.com.